Expert developer and regeneration specialist, St. Modwen, has leased the final vacant units at its 170,000 sq ft Bestwood Business Park in Nottingham to local business, Bonnington Plastics. Bonnington Plastics – one of the UK’s leading importers and distributors of gardening, DIY, catering, leisure and homeware – has signed a five-year agreement at the site, moving into two industrial units totalling nearly 35,000 sq ft.
Bestwood Business Park is already home to an array of tenants, including fabric and craft experts, Zacksons, vehicle restoration experts, The Bodyshop, specialists printers, D-Signs & Print, leading shredding service Shredall Ltd and Streamline Logistics Limited. 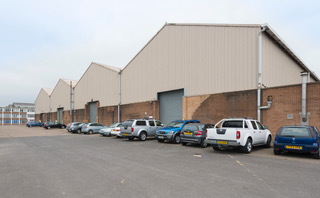 Located just five miles north of Nottingham city centre and three miles from the M1, Bestwood Business Park boasts industrial warehousing, office and compound space.